When you need a shirt to wear to the club, think Axxess. Axxess makes those button down type shirts that you wear UN-tucked and let it all hang out in style. These modern fit shirts are just what club life demands and you'll look the part when you're wearing it. 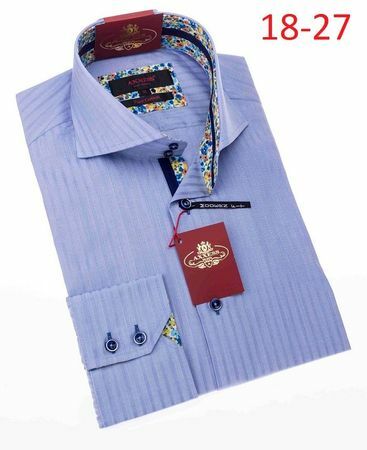 This light blue Axxess shirt is made of fine blue stripe cotton fabric have the high spread collar that are made in Turkey.